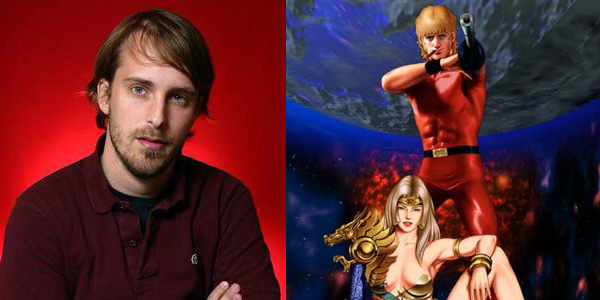 manga | Spotlightreport "Best entertainment Web in oz"
Director Alexandre Aja is nabbed the rights to Buichi Terasawa’s manga Cobra: The Space Pirate, with plans for a sci-fi epic. Aja has apparently been itching to get the chance to make Cobra into a movie for a while now, and has been plying Terasawa with requests to win the rights. Now he’s finally broken down the creator and has ambitions to create a summer tent pole action epic from the story. The series follows the adventures of Cobra who lived an ordinary life until enemies started to hunt him down. Cobra surgically alters his face, and erases his own memory to hide from his enemies. Cobra starts to regain his memories and then unites with his old partner Lady Armaroid and his ship Tortuga. Later in his adventures, Cobra meets the Royal sisters whose map-tattoos lead to treasure. • Five international guests. Where else are you going to meet voice actresses Yuko Miyamura and Tiffany Grant, artists Shaun Healey and Mikiko Ponczeck, and ADV film’s Matt Greenfield? Nowhere else this Saturday, that’s for sure. • The first Australian BAKUC tournament, with its super special prize, a trip to Hong Kong! Check out all the awesome entries in the BAKUC showcase, or try your own hand at modelmaking with the HobbyCo Gundam Workshop. • Artist market, Art workshops, Art panels, Art competitions. It’s all things art at SMASH!, really. Learn from our professional guests or peruse the works of local creators! • Cosplay competition, gaming tournaments, guest signings, and much more! Doors open at 9am for you lucky Advance Ticket holders, with an earlybird guest signing at 9-10am. For the rest of you folk, tickets go on sale on the day at 9:30am. EVANGELION 2.0 PREMIERE IN SYDNEY THIS THURSDAY AND SMASH! THIS WEEKEND! The Reel Anime festival is an exciting showcase of the very best feature length anime films, and it is returning in September 2010 with its strongest lineup ever. This Thursday,5 of August a very first screening in oz for Evangelion 2.0 will have place at Dendy Newtonw, and the Best thing, the voices of Azuka will be there…YES! YUKO MIYAMURA AND TIFFANY GRANT will host the premiere!. 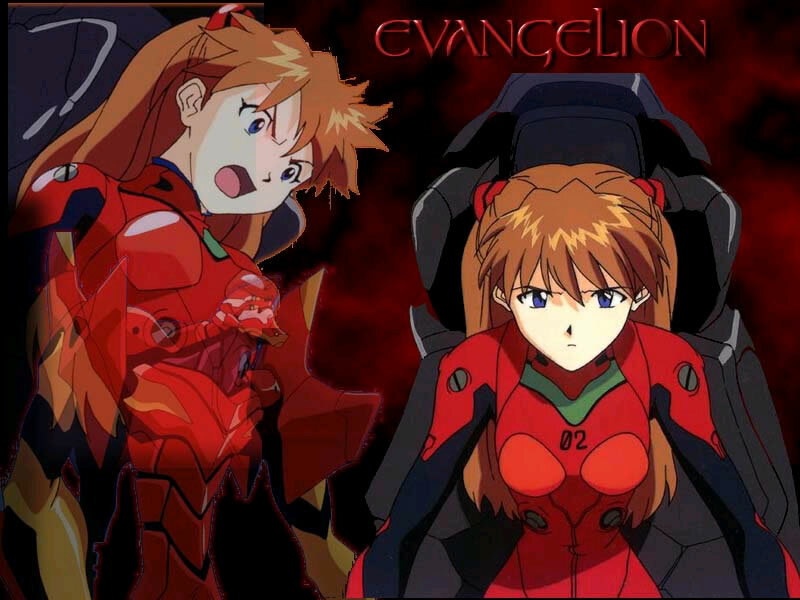 The epic rebuild of the NEON GENESIS EVANGELION saga continues in this second feature film, taking us in a frightening, thrilling and cinematically stunning new direction and featuring all-new characters, including Maki, an Eva pilot, plus new Evangelion units. The story of Shinji, Asuka and Rei – the three chosen children who fight to save Tokyo-3 from monstrous creatures known as Angels – is given startling new dimensions that are both light, and dramatically dark. Piloting the mighty Eva will demand more of Shinji and those around him than any of them are prepared for. Buy Tickets for the premiere here! Also don’t forget about SMASH! the amazing upcoming event this weekend at Townhall where the magic of the Manga and the anime wioll take place, with special guest Producer Matt Greenfield, Azuka’s Japanesse voice Yuko Miyamura, Azuka’s English voice Tiffany Grant and comic artists Shaun Healey & Mikiko Ponczeck. SMASH! Sydney Manga and Anime Show is a Japanese pop culture convention that is devoted to artists, creators and fans alike. A MUST GO EVENT!. SMASH 2010! Are you ready to meet ASUKA from Evangelion?!! This year´s “Smash”, the popular anime convention in Sydney has announced some of the international guests…and the Eva number 2 is near to land in town! with Yuko Miyamura, voice of Asuka Langley in Neon Genesis Evangelion. Other works of her are include My-Hime (Alyssa), Detective Conan (Kazuha), Wedding Peach (Hinagiku), NieA_7 (NieA), Outlaw Star (Aisha Clanclan) and Berserk (Casca), Astroboy (mimi) and some video games including Kingdom Hearts and Street Fighter. Excited already?…this is not finished yet…Because why only meet the Japanese voice of Asuka?…YES THE ENGLISH VOICE WILL BE HERE TOO!, with the visit of Tiffany Grant, who also has worked in Chrono Crusade (Satella), Blue Seed (Kome), Golden Boy (Madame President), Azumanga Daioh (Kaorin), FMP? Fumoffu (Bonta-kun), Godannar (Shizuru), Full Metal Alchemist (Marta), Maburaho (Kuriko), One Piece (Nojiko), The Wallflower (Auntie), Kurau: Phantom Memory (Ayaka) and Tsubasa Reservoir Chronicles (Ashura) and in the videogame Unlimited SagaDeus Ex II: Invisible War. She also worked in scrips adaptations for tv of Angelic Layer, Oh! My goodness and much more. Finally another big name among the anime lovers will join the convention, Matt Greenfield who has lot of production credits, serving as writer, producer, and director on over 500 anime and live action titles, including such anime classics as Battle Angel, Bubblegum Crisis Tokyo 2040, Chrono Crusade, Excel Saga, Gantz, Godannar, Golden Boy, Gunsmith Cats, Macross, Nadesico, Noir, Princess Nine, Rahxephon, Slayers, Spriggan, Neon Genesis Evangelion, The Wallflower, the live action Gamera-Guardian Of The Universe and the all-time Godzilla classic Destroy All Monsters. Lately he has been working on the the production of the live action Evangelion feature film. Smash, as an anime convention our primary focus is on anime and manga as a fan driven event. We wish to allow fans to meet and interact with other like-minded people, show off their own creative talents, buy anime and manga related goods and celebrate their fandom in a social environment. SMASH! celebrates all forms of anime fandom through a variety of activities such as cosplay, panels, games, and other special popular culture events. This will be epic!…so take note of the venue and prices! *Buying your tickets in advance saves you $5 and also allows you entry half an hour earlier than if you bought your ticket at the door. So grab your ticket online to save some extra spending money and get inside first! We gues thi movie will be released on dvd before Ironman 2 to keep our engines on!